Prior to the recent instability in the Kurdistan region of Iraq, Erbil had developed at a faster pace than the capital, Baghdad, and enjoyed a fair degree of political stability and sense of security. It had begun to unlock the potential for development for Iraqi and international architects who responded optimistically to what was a comparatively stable economic region. 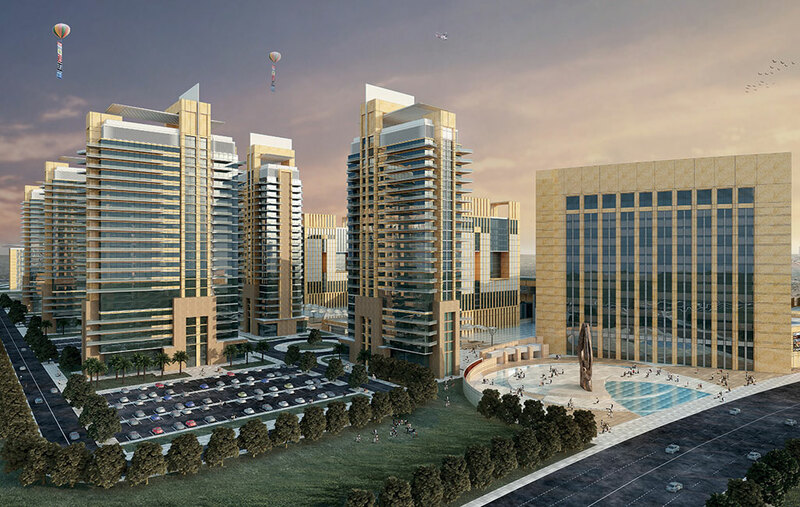 The Erbil International Trade Centre evolved to put Erbil on the world map of trade, commerce and tourism. 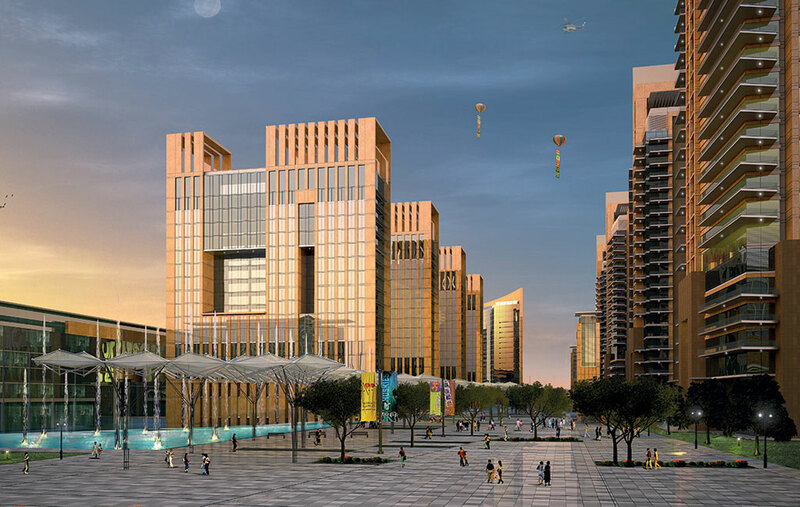 Erbil Trade Fair appointed Diar Consult to prepare a concept master plan for this development, with the objective of creating a world-class integrated business and trade environment that would become a hub for international and regional trading. The master plan is designed on axial relationships that define the positioning of all components of the project along with the entry and exit gateways. Two distinct yet symbiotic zones have been created: Zone A, which is the institutional trading and business environment, including: exhibition halls; a conference and business centre, and a five-star hotel; Zone B, which incorporates the support services of social, cultural, commercial and residential areas, including: a shopping mall; three- and four-star hotels; an office tower and buildings; residential buildings, and a public central promenade. The two zones are linked through a pedestrianized public central promenade as well as via peripheral roads. Drop-off and collection points and on-grade parking at each component ensures easy access for visitors and gives them a clear sense of orientation. The overall result is a truly mixed-use sustainable community. 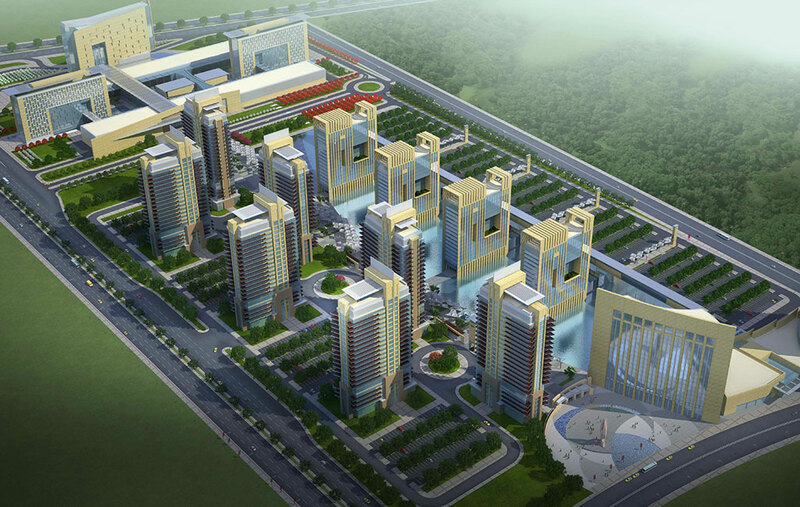 The completed Concept Master Plan design has been submitted to the Kurdistan Ministerial Council for preliminary approval. A positive outcome will enable the investment plan and necessary funding to be progressed in collaboration with the Board of Directors of Erbil International Fair in liaison with the Kurdistan Regional Government (KRG).